From March 31, 2013, on, Social Security pays by direct deposit only. As of March 1, 2013, Social Security checks are a thing of the past. Instead, payments to Social Security recipients are electronic. To set up direct deposit for Social Security benefits, you have five options, all leading to the same result. The biggest differences among the methods are the time you invest in the application process and the time required for Social Security to make the change to your account. In a November 9, 2012, memo to its employees, the Social Security Administration gave notice that a new software release would change the way that online applications for electronic funds deposit were processed. 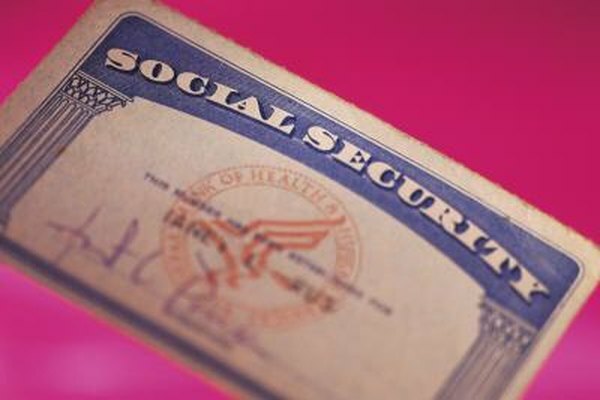 Instead of generating a password request code immediately, new credentials will be provided to existing Social Security recipients by mail, according to Karen Jones, a customer service representative with the Social Security Administration. With these credentials, Social Security recipients may log onto the Social Security system to provide their bank’s routing number and their deposit account number, and accept the terms and conditions of the Direct Deposit Agreement. The system requires up to two days updating your information and scheduling the electronic funds transfer for the next Social Security payment due. Your bank has the direct deposit form – Treasury Department Standard Form 1199-A -- that you can fill out; you only need to ask your banker. The bank will send these forms to Social Security. Jones cautions that this process will take 30 days from the date you initiate the process, unlike an online request for direct deposit. Jones stated that Social Security recipients can call the Social Security Administration at 1-800-772-1213 during normal business hours, 9 a.m. to 5 p.m., Monday through Friday, and apply for direct deposit. The process requires you to provide your Social Security Account Number, you bank’s routing number and your deposit account number. Your account will be updated and electronic funds transfers established in two days. You may find the wait for a representative is longer than 10 minutes. Jones also stated that a Social Security recipient or a first-time applicant for Social Security can visit a Social Security office near her home and apply for both Social Security and direct deposit at the same time. While this process may require investing more time than visiting your bank, the request for direct deposit of your Social Security benefits by electronic funds transfer is included in your file immediately and processed within two days. You can visit the Social Security website and download a copy of the Treasury Department’s Deposit Sign-Up Form, to print out. Fill out the form and mail it to the nearest Social Security office. Jones cautioned that, when forms are sent to Social Security via the Postal Service, the first direct deposit "would take up to 60 days." If a Social Security payment is due during that 60-day period, you will receive a paper check from the U.S. Treasury Department. Social Security: Social Security Online - Direct Deposit - How Do I Sign Up to Receive an Electronic Payment? Can You Use a Savings Account in PayPal?